There are plenty of famous men buried in Georgia, but the ladies often get overlooked. This week, I am featuring a handful of those enterprising women. Some you may already know about, but a few of them may surprise you. Rome, Georgia is home to Shorter and Berry Colleges. Class A minor league baseball team the Rome Braves draw plenty of crowds. But did you know a U.S. President’s wife is buried there? Woodrow Wilson was not a household name when he met Ellen Axson at her father’s church. President Woodrow Wilson’s first wife was born Ellen Louise Axson. The daughter of a Presbyterian minister, she grew up in comfortable circumstances. Her parents believed in the importance of a good education for both sexes, so Ellen became an intelligent, observant young lady who eventually studied art in New York City. She enjoyed painting throughout her life and even spent time at an artists’ colony. Ellen met the future president at her father’s church long before he entered politics. After her father died and Wilson was offered a teaching position at Bryn Mawr College, the couple decided they were financially prepared to marry. They eventually had three daughters together. Sadly, Ellen’s tenure as first lady was brief. 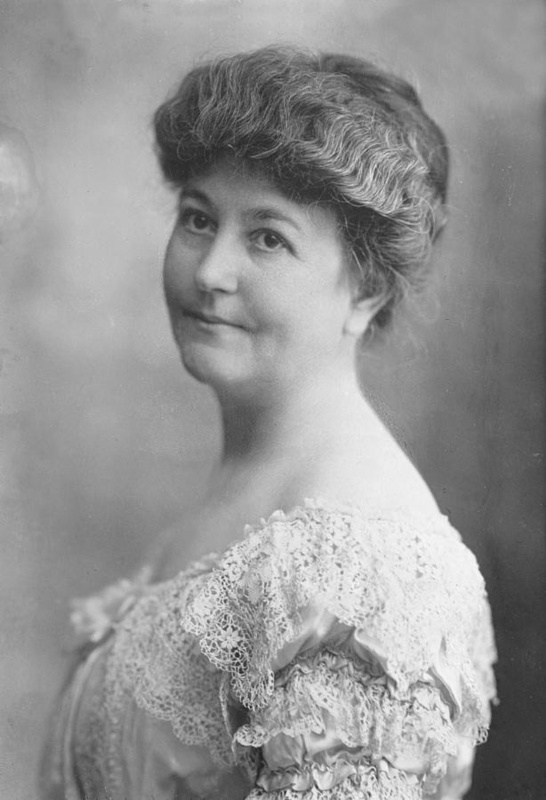 Having suffered from Bright’s Disease (a deterioration of the kidneys) since the birth of her youngest child, Ellen died in 1914, only a year and a half after her husband was elected president. Her body was taken back to Rome for her funeral. She is buried at Myrtle Hill Cemetery. 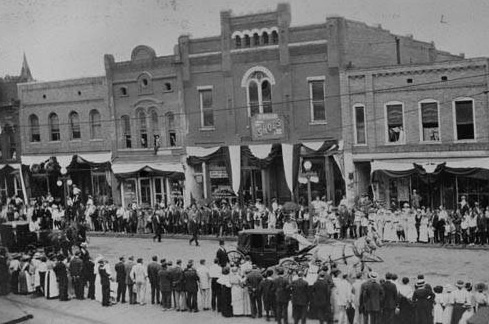 First lady Ellen Wilson’s body was transported through the streets of Rome, Ga. after her funeral. Photo courtesy of the Georgia Archives. 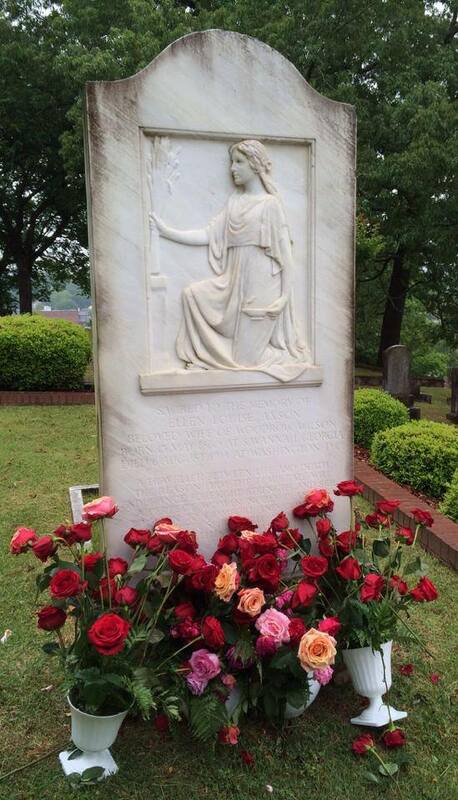 Ellen Axson Wilson is buried in Myrtle Hill Cemetery in Rome, Ga. I was finally able to visit her grave many months after I originally wrote this post. One acclaimed Hollywood actress buried in Georgia was tops at the box office for years. Born Edythe Marrenner in Brooklyn, N.Y., Susan Hayward arrived in Hollywood in 1937 to do a screen test for the role of Scarlett in Gone With the Wind. While she did not get the part, she went on to star in films like “With a Song in My Heart”, “I’ll Cry Tomorrow” and “I Want to Live” (for which she won her only Oscar). 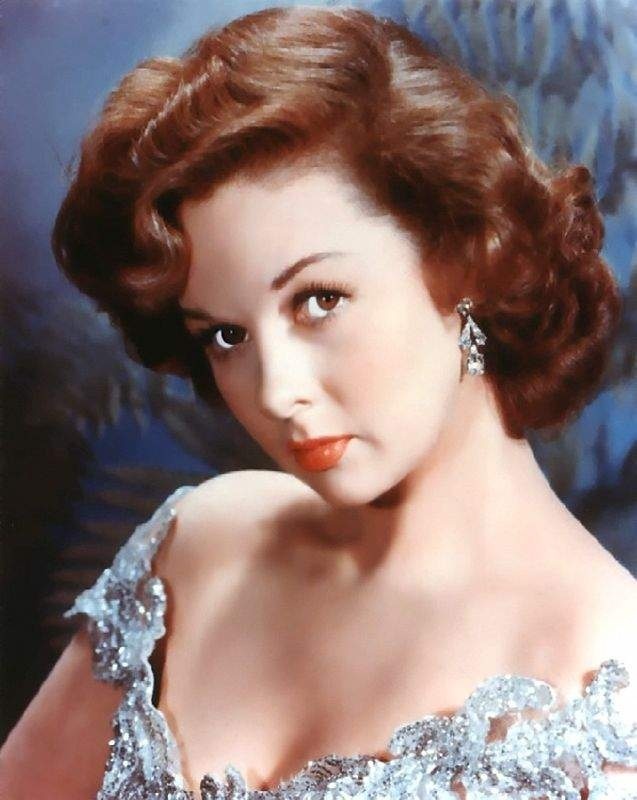 Actress Susan Hayward got the nickname “Red” from the fiery color of her hair. After a failed marriage to actor Jess Barker, Susan met wealthy Southern real estate developer Floyd Eaton Chalkley in 1957. His Southern charm won her heart and they were married not long after that. They lived happily on their large ranch (which they called Chalk-Marr Farms) in Carrolton, Ga. for several years. Locals often saw them together around town. Chalkley died in 1966 of hepatitis. Always a heavy smoker and drinker, Susan learned she had brain cancer in 1972. She died in 1975 and is buried with her husband at Our Lady of Perpetual Help Cemetery in Carrolton. On their shared memorial plaque, she is listed simply as Mrs. F.E. Chalkley. A smaller flat stone with her name is placed off to the side. 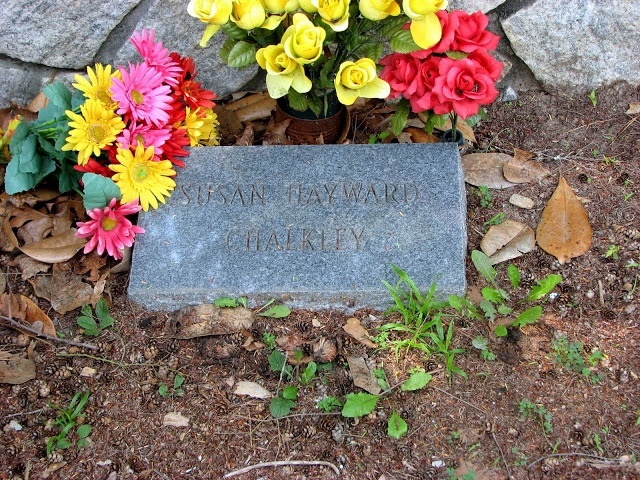 Susan Hayward’s grave is simple compared to “the Broad from Brooklyn’s” flamboyant Hollywood image. Life at the turn of the century in the Deep South was far from easy for African-American women. Gertrude Pridgett knew this first hand growing up poor in Columbus, Ga. The product of a musical family, she eventually hit the vaudeville circuit, which was a booming business in a river port city like Columbus. In 1904, Gertrude met and married minstrel show manager William “Pa” Rainey. Together, they toured the country at various shows and with tent performers. That’s when her fame began to grow and she took on the name “Ma” Rainey that would stick with her for life. 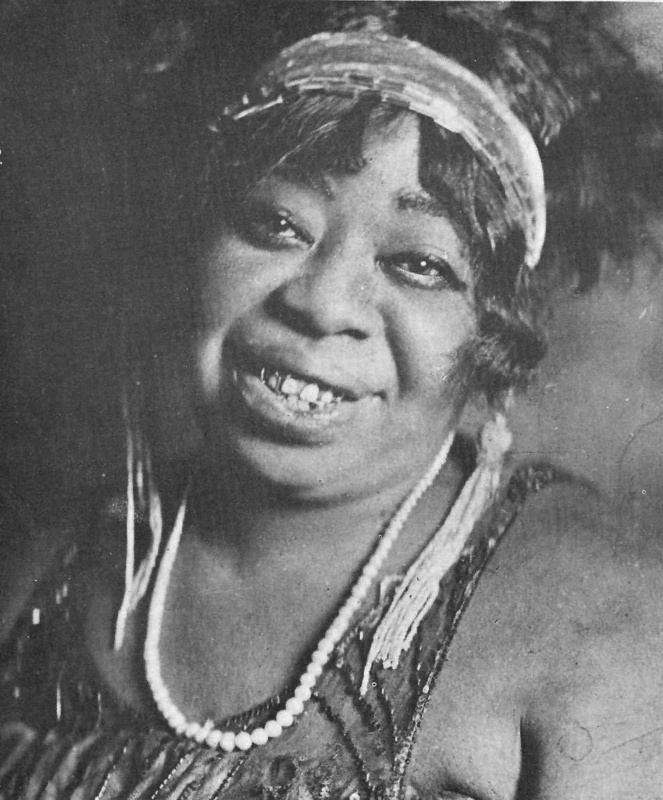 Ma Rainey’s life of poverty and hard work was reflected in songs like “Bad Luck Blues” and “Trust No Man.” Photo courtesy of Wikimedia Commons. Ma enjoyed a successful recording career with Paramount Records for five years. She collaborated with other well-known musicians such as Joe Smith, Coleman Hawkins and Louis Armstrong. But just as she was getting to the top of her game, Paramount dropped her, claiming that her rough around the edges kind of music had gone out of style. She retired to Columbus and died there in 1939. She is buried in Porterdale Cemetery. 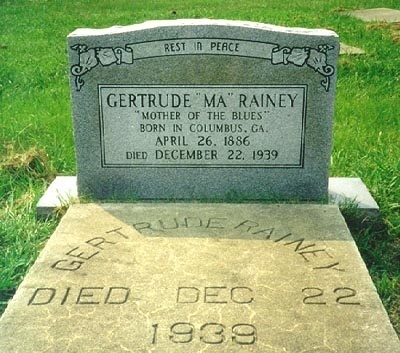 Ma Rainey’s music earned her the nickname “Mother of the Blues”. Photo courtesy of Ronald Self. 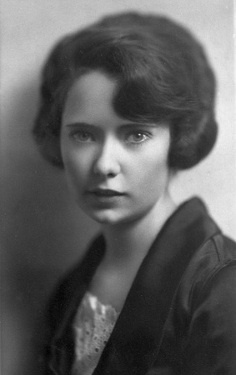 Perhaps the most well known female Georgian is author Margaret Mitchell. A headstrong young woman, she loved hearing stories about the Civil War from Confederate veterans. She dropped out of Smith College after the death of her mother in order to run her father’s home where he and her younger brother still lived. 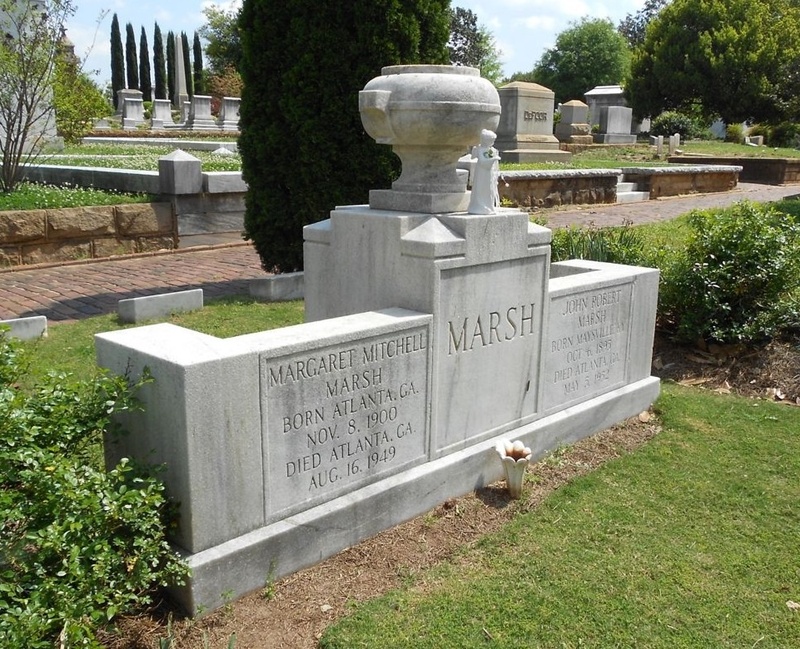 A bit of a rebel herself in her youth, Margaret Mitchell treasured the stories told to her by Confederate veterans. During her first rocky marriage, Margaret began writing for the Atlanta Journal’s Sunday magazine to make ends meet. After her divorce, she married former suitor and editor John Marsh, and left her job to recover from a series of illnesses. While convalescing at home, she wrote the Pulitzer-prize winning novel Gone With the Wind in 1936. The book and eventually the movie made it financially possible for her to support a number of philanthropic interests for the remainder of her life. Margaret Mitchell was killed in 1949 when she was hit by a car while attempting to cross at the intersection of Peachtree and 13th Streets in what is now Midtown in Atlanta. 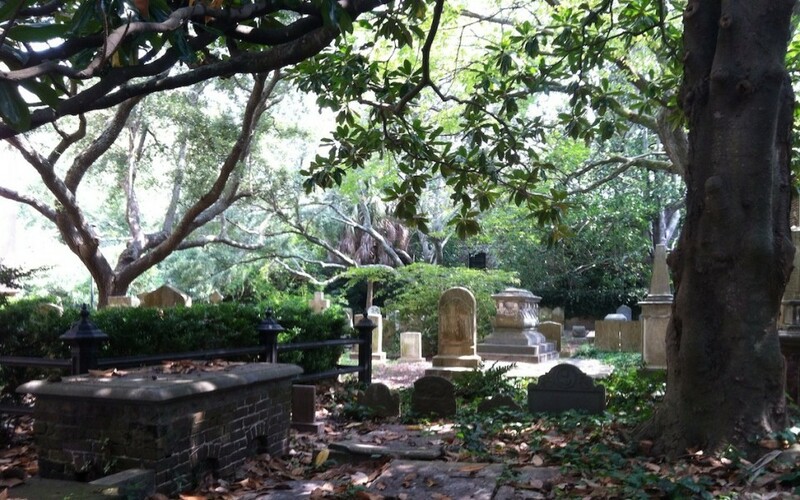 She is buried with Marsh at Oakland Cemetery, where thousands of visitors trek to visit her grave every year. Although she only wrote one book, Margaret Mitchell’s Gone With the Wind continues to draw the adoration of readers around the world. Photo courtesy of Richard Earl Post. These four women made their marks on the world in many different ways. But in the end, they all chose to make Georgia their final resting place. While I’ll never be famous like these female icons, I hope to do the same some day. An interesting read! I didn’t realize Margaret Mitchell had been killed. Love that book! 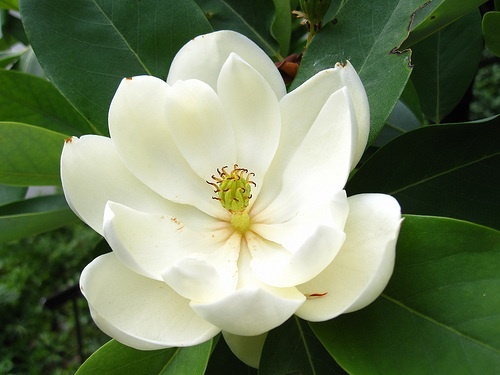 I love your blog–so full of information. I had heard of Ma Rainey, but knew nothing about her. You may or may not be famous like these women, but you will definitely leave your mark on the world.